Hello friends! 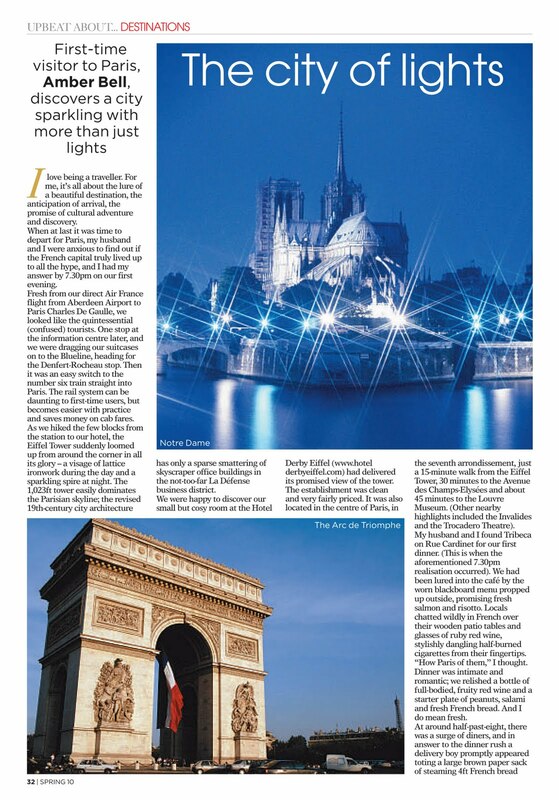 I wrote a story on our December visit to Paris for Upbeat magazine and it just came out this month, so I thought I'd share. 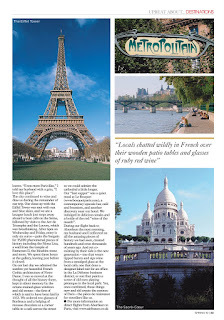 If you're on my blog, click on the images to enlarge, then once again to zoom in and read. Enjoy! Excellent!! Looking forward to the one you will be writing after your visit to London! Love it! As silly as it sounds, Paris is magical. You expressed that feeling so well in the article. Great job!